HEADLINE TOUR ANNOUNCED FOR FEBRUARY / MARCH 2018 – BIRMINGHAM SOLD-OUT! 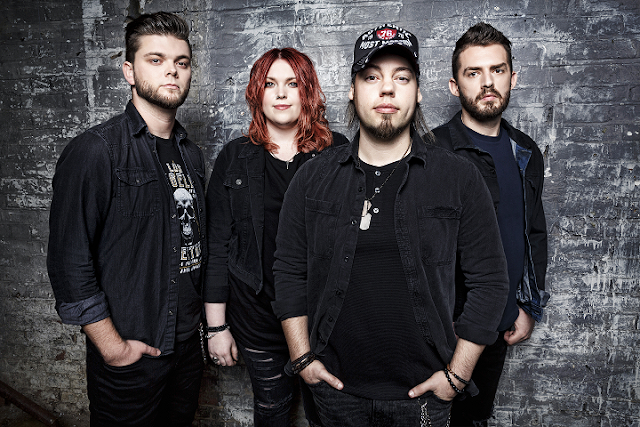 Stone Broken have released a lyric video for their current single, ‘Worth Fighting For’; the track features on forthcoming album, ‘Ain’t Always Easy’, set for release on March 2nd 2018. As is typical of Stone Broken frontperson and lyricist, Rich Moss, the song carries a poignant message; ‘Worth Fighting For’ acknowledges a variety of struggles people face in life and offers hope and encouragement. SB recently announced a UK / Euro headline tour for February / March 2018, with their show in Birmingham already a sell-out!